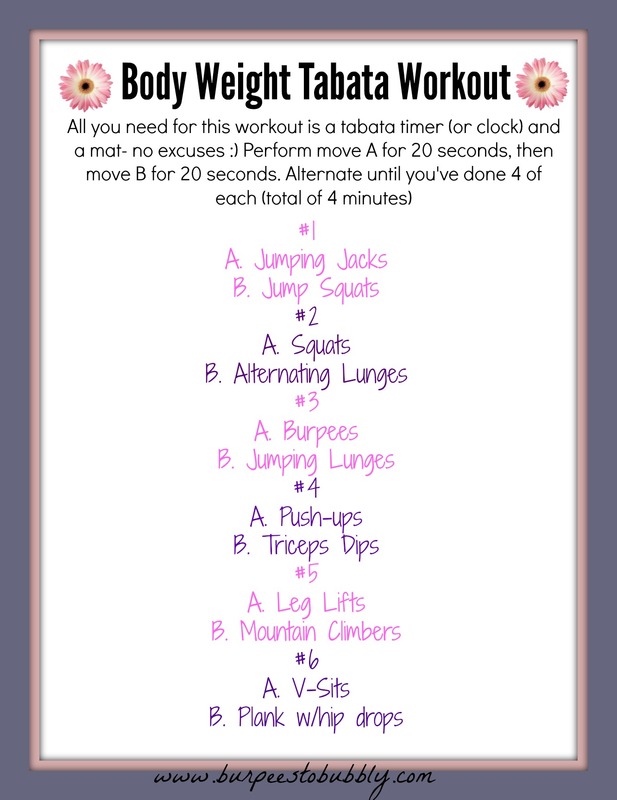 As I mentioned on Monday, I did a few Tabata workouts last week. One that I particularly liked was the body weight one that I did in my hotel room on Tuesday morning. There wasn’t a lot of space to workout, but the beauty of this workout is you don’t need a lot of room. If you’re new to tabata workouts, the idea is that you do 20 seconds “balls to the wall”, as I like to say, followed by 10 seconds of rest. You repeat this 8 times, for a total of 4 minutes. In a true tabata workout, you would do the same exercise for all 8 rounds, but for this one, I chose 2 different exercises per tabata to do in order to maximize my workout since I was limited on time. Side note: I usually jump around or jog in place during the 10 seconds to help bring my heart rate down; I don’t like going from crazy cardio or strength to nothing- I like to keep moving. As you can see, the exercises I did are very basic, but that’s the thing- if you’re giving them your all, you don’t need to do anything fancy. Questions for you: Do you workout in your hotel when you travel? Do you like tabata workouts? 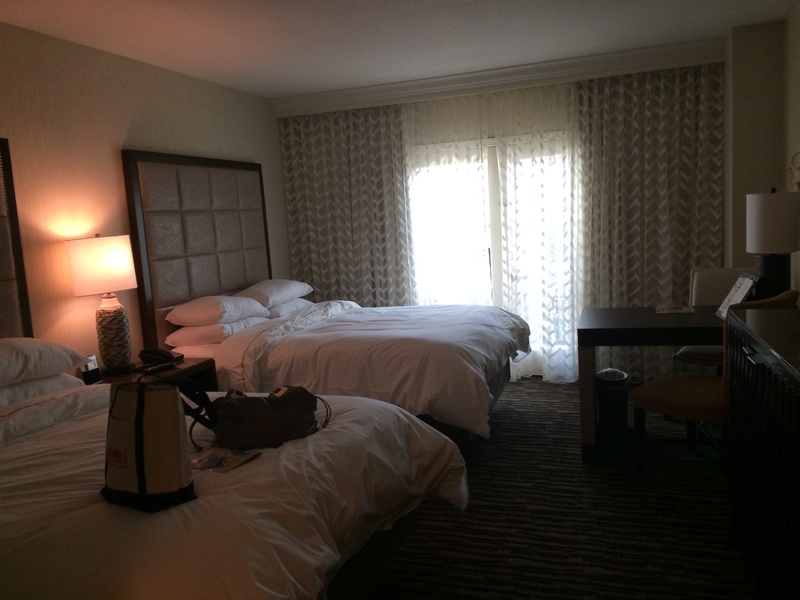 Yes – I always work out in my hotel when I travel!!! thanks, Kim! It’s not fancy, but I was sweating like crazy!